Eurogenes Blog: R-V1636: Eneolithic steppe > Kura-Araxes? I'm really, really hoping that we move a little closer to solving the Hittite question in 2019. Personally I have trouble visualizing them coming through the caucuses as recently as the 3rd millennium BCE, but this is very interesting. Not just Hittites, but Armenian and other IE languages. I am certain that very shortly you'd be flooded by pro-Anatolia pro-Armenia theory denying Wang et al. preprint and insisting the the Kura-Araxes preceded the Steppe individual. Some here are eager to distort history and whatever in order to prove that their Middle Eastern/West Asian theory is still valid. Indo-Europeans did NOT come from Iran; they did not come from India; nor did they come from Armenia: Proto-Indo-Europeans originated on the Steppe by an ANE-rich EHG population which has also mixed with CHG ones. I hope that 2019 will clinch a nail in the coffin of ABS (anything-but-Steppe) conspiracy theories. "I hope that 2019 will clinch a nail in the coffin of ABS (anything-but-Steppe) conspiracy theories." So you associate V1636 with ie? I think its very early to have such a conclusion. And about Nesa issue. Every central anatolian adna taken during Nesa period does not mean that people was speaking Nesean. There is unneglecible truth of Hattian during that period. And the name of the county were called as Hatti Land. But not Nesa Land. I understand people who interested in euro genetics mostly focus on ie. But that does not mean that everything about ie. On the other hand there is one more ie phonomea in anatolia... Luwians. Which had been talked in west of Nesea locations. The same as WC1 from Wezmeh Cave, Early Neolithic Zagros Iran, c. 9300 ybp. Common today among speakers of the Dagestani language family. J-CTS900, the parent clade of J-Y11200, is modal among Nakh speakers. Both sites are near Maykop, on the steppe to the north of the Caucasus Mountains. Three individuals from Areni-1 Cave, from the Chalcolithic Caucasus in Vayots Dzor Province, Armenia, 4330-4060 calBCE were also L-M27. Today, L-M27 is the modal clade of haplogroup L in South Asia, but rather rare elsewhere. I6272 Maykop Novosvobodnaya, Dlinnaya Polyana, 3500-3000 BCE, is G2a2a-PF3147* (PF3148-) which is modal among Anatolian and European Early Neolithic individuals, and was found in the Early Pottery Neolithic at Tepecik-Ciftlik Turkey, c. 6500 BCE. Based on the Y-DNA, I think we can say that Kura-Araxes and Maykop developed out of the Caucasus Hunter-Gatherer populations south of the Caucasus Mountains and the Early Neolithic populations of the Near East. Based on the presence of both G-Y37100 from the Iranian Neolithic, and G-PF3147* from the Anatolian Neolithic (which was later found in BMAC and the Iron Age Swat Valley, as well) Neolithic immigrants from both zones colonized the Chalcolithic Caucasus, as far as Maykop in the plains north of the mountains. It seems that the ancestors of both the Dagestani and Nakh language family speakers predate the entry of the Indo-Europeans into the Caucasus, and the Nakh speakers were even present north of the Caucasus Mountains at the same time as Early Yamnaya. A continuing mystery is the link between L-M27 in the Caucasus and South Asian L-M27. L-M27 appears to be older in the Near East than in South Asia, yet it's very widespread in South Asia today. How did that happen? I'm still a fan of the Balkan route for Anatolian languages. But I don't see why V1636 couldn't have been carried by Indo-Europeans in the southernmost steppes who then pushed south and mixed with the Kura-Araxes people? Kura-Araxes is definitely not from the steppe, so its V1636 probably can't be associated with Proto-Kura-Araxes males, but rather with acculturated foreigners from the north. It may have been a fairly common marker in the IVC or it entered South Asia from Central Asia with the Indo-Europeans, and then rose to prominence via acculturated males as the Indo-Europeans with their R1a were expanding within the region. It's likely that a lot of local lineages hitchhiked on the Indo-European expansions within Central and South Asia, probably mostly from local power groups who allied themselves with the newcomers. Fair's fair. Clear evedence for movement from steppe to Armenia. Still, doubtful they have much to do with PIE, whose origins lie in NW Iran- J2a1, G2a2b, etc. That's the only link between early IEs (Indo-Aryans, Hittites, Myceneans). Of course, I'm sure some will say these academics are ''wrong'', but hey, just offering info. Kura Araxes is usually considered Proto Hurro-Urartian. So that R1b could be an assimilated haplotype. The linguistics also points to that direction. Here we present data from the accompanying paper in Nature Communications: Archaeogenetic studies have described the formation of Eurasian ‘steppe ancestry’ as a mixture of Eastern and Caucasus hunter-gatherers. However, it remains unclear when and where this ancestry arose and whether it was related to a horizon of cultural innovations in the 4th millennium BCE that subsequently facilitated the advance of pastoral societies in Eurasia. To address this, we generated genome-wide SNP data from 45 prehistoric individuals along a 3000-year temporal transect in the North Caucasus. We observe a genetic separation between the groups of the Caucasus and those of the adjacent steppe. The northern Caucasus groups are genetically similar to contemporaneous populations south of it, suggesting human movement across the mountain range during the Bronze Age. The steppe groups from Yamnaya and subsequent pastoralist cultures show evidence for previously undetected farmer-related ancestry from different contact zones, while Steppe Maykop individuals harbour additional Upper Palaeolithic Siberian and Native American related ancestry. This clade is super rare today. So is this P-297 or not? I'm not really an encyclopedic knowledge of y trees person, but Kivisild's adna tree suggests yes (presuming identity with the BA Armenian samples - https://i.imgur.com/7mYI7cC.png), while the description on wiki suggested no. Seems to me increases probabilities that you have at least some two-way migration involving steppe and others before the Chalcolithic? Since that's always (or virtually always?) been the case when we've found migration signals in the past (e.g. CHG/IranN signal into Anatolia matched by Anatolian into Seh Gabi LN, back migration from Central Europe into Steppe MLBA after Steppe EMBA->Europe LNBA, etc. Never strictly one way.). Though it need not be a lot. Abstracts: Removed: Indo-European languages linked to dispersal of pastoral innovations, Caucasus as bridge, Anatolian in the farmer related ancestry. Added: North added to mention of Caucasus groups having ancestry from groups to their south. Kivisild's aDNA Y tree only includes the the Armenia_MLBA samples, which do belong to R-P297. Yeah, I don't think there's any actual positive evidence for two-way migration from this, I'm just observing that one way migration doesn't really seem to happen so much / at all in the general case. I don't think that moving between the steppe and the Caucasus was a general case back then, but an exceptional one. In other words, usually a one way trip. About Garelli, as said, it is probably outdated. In any case, there is no doubt that at Kanesh around 1800 BC, were the largest group, and probably a small majority. But Kanesh is not Central Anatolia. It is also clear that Hattic became extinct during the Old Kingdom, perhaps as a result of the conquest by Hittites. If you look at more recent papers of various authors, the consensus is rather wide about an early extinction of Hattic. Yes, the changes made are noteworthy. But their original conclusion was so contradictory with their findings, that it would have been strange to not rewrite the text. Hello, I am the V1636 sample from Turkey on YFull. On what entry are you referring to exactly? I do not see how you came to the conclusion that they are V1636. Hurry-Urartians are a mixture of Anatolia Neolithic and Iran Chalcolitic, with some minor later Steppe addition, same as Armenians and other current Caucasus populatons. "Such population movements could potentially explain the appearance of Hittite and other closely related Indo-European languages in Anatolia during the Bronze Age." The Balkan route seems more likely than the Caucasian one, or right across the Black Sea. There is more diversity of Anatolian languages and more early attestations of Anatolian languages in the West than the East. I think movements are both older and younger. Some R1b may be mesolithic there. It's very, very unlikely those R1b eneolithic samples ever mix w pre-Yamnaya, yet alone Khvalynsk. Maykop mixture works great with using Samara Khvalynsk and Eneolithic Ukraine, which already has Meshoko mixture. Plus, that fits archeology. Forget the linguistic crap. Genetically, the mix fits great. By the way, it looks like West Siberia N admixture in Eneolithic Armenia. Eneolithic steppe is not needed, aka doesn't fit. This mixture may have showed up in Armenia before Steppe Maykop. It's very, very unlikely those R1b eneolithic samples ever mix w pre-Yamnaya, yet alone Khvalynsk. Yes, but I0122, Khvalynsk II, Volga River, Samara (Russia), 5200-4000 BCE was also R1b-V1636"
Khvalynsk probably got its CHG ancestry from southern groups related to Steppe Piedmont carrying R1b-V1636. You sure about that? Last I heard it was closer to M478. Sounds like some R1a maybe mixed into the Steppe Maykop milieu. The R1 in Steppe Maykop outlier SA6013 (Sharakhalsun 6 burial site) is probably R1a. This individual has some Caucasus ancestry, but that's not where the R1a comes from. It's probably from nearby Sredny Stog or Khvalynsk. I was reading about the Hausa people (in northern Nigeria, etc). They claim to be descended from ‘Arabs’ who came from the Middle East, and their language is afro-asiatic. However I noticed they have a typically indo-european story as part of their foundation myth: their founder is said to have killed a serpent that was guarding a water well, and he thereby freed up the well for all the people to use. It’s intriguing given they have a very high incidence of R1b. The J1-Z1842 fits perfectly with my theory that this lineages represents Kura-Araxes migrations in the EBA and perhaps reflects a NE Caucasian language. The new finding of M67 (Y11200) in NW Caucasus I think represents the important connection between the Maykop and Hattic cultures and may comigrate with J2a-M319 (sister clade to M67) to Crete. I now believe thatJ2a-- M67+M319 may covey the NW Caucasian Languages to Central Anatolia and ultimately to Crete during the Final Neolithic and EBA on this island. the Hattic languages and possibly Linear A are prefixing with some suffixes and reduplicating. The G lineages in Crete and Anatolia and perhaps Maykop are relic Neolithic lineages that first brought agriculture to these areas. The motivation for the spread of M67 and M319 might be metallurgy and/or viniculture. Here are the Y SNPs for sample SA6013.B0101, the Steppe Maykop outlier, kurgan 2, grave 11, Sharakhalsun 6, Russia, 3355-3105 calBCE. Please let us know when these Wang et al. samples are in Global25. I'll then be able to do some nMonte runs for them. I'd also like to say that aside from Indo-European origins, people are interested in the spread of the Near Eastern Early Neolithic in all directions. This has a lot to do with the origins and spread of "Basal Eurasian" ancestry. In particular, no one has quite solved the problem of the origins and relation of Iran Neolithic-related populations to South Asia, and also the exact relationship and interaction between the three post-LGM populations of the Near East, the Anatolian Neolithic, the Levant Neolithic, and the Iran Neolithic. Alos, how and when did Iran Neolithic-related ancestry spread across the Mediterranean? Svend Hansen is an archaeologist, I don't think it make sense to ask him for genotypes. Make yourself useful and send out an e-mail. I checked out whether the Kura-Araxes (Armenia_EBA) samples that I have can be modeled as part Steppe Eneolithic with qpGraph. Using a similar topology to the one used by Wang et al., they can, with a mixture edge of 22%. It'll be interesting to check this out properly with the new samples. It’s funny how they said the evidence was Maykop > Yamnaya when it looks like Steppe > Caucasus. Now we see steppe ancestry being more widespread than thought in the Caucasus all the way to the Chalcolithic. Now that is crazy. M478 was another sample from Samara. But Khvalynsk is really V1636. And we now another V1636 from those new Yamna samples. Only a couple Q1a2 awaiting checking on the steppe cluster side of things. (Didn't notice before that there are 7 Steppe Maykop in the ADMIXTURE, but only 6 in the PCA plot. Both outliers accounted for, so 1 main cluster is missing, probably one of either AY2001 or MK5005, the less North Eurasian samples. Or I'm being colourblind here.). to Eneolithic individuals from Khalynsk II and the Samara region19, 27 "
Perhaps an earlier migration south of R-V1636 before the wagons/wheels were functional on the Steppe? SA6013.B0101 Sharakhalsun 6 Steppe Maykop outlier R-M459 R-YP1272 ?? IV3002.A0101 Ipatovo 3 Steppe Maykop outlier T-L206 T-Y8614 ?? How much steppe Eneolithic would Armenia Chalcolithic have ? Overall, at least 10%, but probably much more. Thanks. But how can Armenia EBA have 22% and Chalcolithic have ~10%, when EBA is pulled away from steppe c.f. Chalcolithic ? Because the Armenia_ChL samples that we have available now are very unusual and probably have more steppe ancestry than any of the other ancient samples from the Caucasus currently available, including and especially Armenia_EBA. And if Armenia_EBA really has around 20% of steppe ancestry, then the figure for Armenia_ChL is much higher. The numbers I've put on might be an overestimate if Botai/West_Siberia_N is significantly "East" of where I've guessed. It looks like Maykop to West_Siberia_N is a better cline for Steppe_Maykop than Iranian input (Chalcolithic or Neolithic) but we'll probably be more accurate once Dave gets the genotype data (as his models have more sensitivity to CHG vs Iran_N). Their main model for Steppe Maykop as 65:23:7 roughly of Eneolithic_Steppe:AG3:Kennewick, seems OK for models that aren't Maykop+West_Siberian, using the 4 main sample sans outliers from the PCA. Their other models look pretty off. There's no actual "steppe" in Armenia, from what I've seen. It's the choice of pops creating an illusion of that. Armenia ChL has about 10% West Siberia N, probably via a S Caspian farmer, or maybe a Kelteminar movement. West of a Siberia N pop gets rejected when both are available. And the steppe uniparental markers also get rejected? Because that would be very strange. There's 0 cultural items linked to the steppes. The closest is Meshoko pottery. How do you know for a fact H2a1 is steppe? Could be all over. That assertion can't be made. It's not an assertion, it's an inference based on a lot of data. H2a1 is a steppe-specific marker, same as R-V1636. Prove otherwise. We'll have to wait and see how close these are... The lack of true Native American / West Siberia N ancestry in this table probably has resulted in some compression of Lola and Steppe Maykop cluster in some dimensions and exaggeration in others. Armenia_ChL does have steppe ancestry, specifically of the ukrainian type. Here are the fits: (5.8093, no north eurasian) (3.2636, West_Siberia_N) (3.2919, Khvalysnk_Eneolithic) (3.0737, Ukraine_Eneolithic). Amounts also increase from 10.38% West_Siberia to 14.63% Khvalynsk_Eneolithic to 25% Ukraine_Eneolithic as the north eurasian source population changes with model. I'm going to have to agree with Chad on the "this is obviously steppe" label oversimplifying things a tad too much. Things appear 'unusual' because there are missing links that are snuck between the steppe and S Caucasus that have yet to be sampled. Overall Kura-Araxes was a very IE free zone until later Semitic groups overcame them from the south. There's a lot of details to uncover about Late Neolithic/Bronze age Europe. -Lots of samples from Corded Ware will show it was very diverse culture with varying amounts & varying kinds of farmer & hunter gatherer admix. -The Migration of R1b P312 into Iberia was an exact repeat of what happened a thousand years earlier somewhere in central/eastern Europe. Y DNA replacement, 50% native admixture. It may be undetected in archaeology, but imo R1b L151 made a big plot of land in eastern Europe around 3000 BC home just as they made Iberia home in 2000 BC. Then, later either all of them left to western Europe or the ones who stayed in the east were eventually absorbed/replaced. But Vucedol is definitly where eastern Bell Beaker is from. Their farmer admix is very different from the farmer ancestors of Bell Beaker who instead had 40% HG ancestry (Hg's similar to Romania/Serbia HGs not Loschbour). @Davidski Back in 2012 you wrote that Ötzi the Iceman has 40% HG ancestry. We know that his paternal YDna was a subclades of G, and that his maternal one was a rare form of mtDNA K, both derived from Anatolia_N. We also found out in recent years that he has had roughly 5% Steppe ancestry. Do you still stand by your previous statement, or have we learned that his actual hg ratio has changed from 40%? Otzi doesn't have any steppe ancestry. That's just noise created by his CHG-related ancestry, which he has more of compared to earlier Euro Neolithic farmers. I can't remember how much WHG-related ancestry he has, but 40% sounds too much. It's more like ~15% over what the Anatolian Neolithic farmers have. You can't prove that. Hell, R1b and K1 were in some Botai. Who saw that coming? H2 is not an EHG marker. It is from the south. It brings in extra Basal. You don't know if it came with Neolithic Caucasus people or in some other HG. However, H2 and H2a are certainly found south of the steppes. There isn't much in the way of samples pre-dating the eneolithic anywhere, except in Eastern Europe. Where is the H2a1 in HG samples in Europe? When we have more than a couple dozen Caucasus samples, we will see. It could even be from the east Caspian. We have to wait and see. I would avoid assertions and keep an open mind to the possibilities. I could care less about the linguistic part. Just sticking with statistical output here that also have archeological backing. The Central Asian movement looks better, statistically speaking. Archeologically it makes more sense too. This is just an artifact. Formal stats often prefer more extreme populations. And your claims about archeology are way off. The mtDNA H2a1 and U4a in Eneolithic Armenia, the R-V1636 and R-M269 in Bronze Age Armenia, and R-Z2103 in ancient Iran, are all obviously from the steppe not from Central Asia. And these ancient DNA results match archeological data, which show movements during the Bronze Age from the steppe to Armenia and Iran, not from Central Asia. It just sounds like you're making excuses or not seeing things clearly for some reason. I'm talking about Armenia ChL. And yes, there's a large movement towards Hajji Firuz from Early to Late Maykop and Dolmen LBA. Not just steppe. You're too focused on one angle. Claims about archeology are not off. I know quite a bit about it. Show me one paper saying northern influence in Armenia ChL is steppe and not Meshoko. No one argued H2a1 decends from European HGs. It derives CHG but from CHGs who only contributed to the Steppe. Here's a list of ancient H2a1 samples. Eneolithic Armenia, Corded Ware, Unetice, Bell Beaker, Hungary BA, Sintashta. Not just that but there are multiple examples from Iron age Iranians. Plus, the very specific clade found in all major LNBA Kurgan groups; H2a1a, exists as a founder effect in Tajick. H2a1a also found in Pathan. H2a1 isn't prove of Steppe admixture but it is suggestive. H2a1 today does exist in parts of SW Asia where Steppe admix is near 0. There's a H2a1 founder effect in Saudi Arabia. Q1a is also present in the whole IE range from Iberia and Ireland to central India and Sri Lanka. Indian and Near Eastern Q1a are plainly from the Pontic-Caspian steppe (as is for central, western and southern Europe). It also has founder effects in Saudi Arabia and Yemen, where it becomes unlinked from steppe. There are also U2e, C1, C4a3, C4a6 and other clades. Overall, archeological evidence suggest that there was no movement southwards from Central Asia until the Andronovo. It's not like there's a big difference between the Copper Age and Bronze Age in the Caucasus. So if people were moving south from the steppe during the Bronze Age, they probably also did during the Copper Age, even if there aren't any papers online laying this out in detail. Armenia_ChL obviously has recent ancestry from the steppe, otherwise it's a remarkable coincidence that the two individuals pulling towards the steppe also have steppe mtDNA markers. I don't believe in remarkable coincidences, because it's not a good thing when trying to come up with sensible, realistic conclusions. "There are also U2e, C1, C4a3, C4a6 and other clades." C4a3 and C4a6 are not tabulated on the current version of PhyloTree. Do you know the terminal mutations for those clades? I actually think that the gradual skin lightening that took place after 6500ybp is due to an influx of a non-Steppe-related-CHG component, hence increasing the mtDNA H ratio from 8000 ybp of 19%, which is the average frequency within Middle Eastern populations, to 40%-50% now. I believe that the gradual lightening of Europeans' skin tone from 6500ybp onward also coincides according to a 2015 paper by Lazaridis to a partial replacement of Europe's first farmers (EEF, EEF/WHG, Anatolia_N) with a more fair skinned Caucasus Hunter Gatherer population. To wit, the Etruscans, Linear A Minoans, some Balkanic population have been CHG populations, in effect replacing Anatolia Farmers, before the Yamnaya partially-replaced more. That's why Southern Europe is very low on LaBrana-style WHG (except for Basques and to a degree - Sardinians): The WHG have been largely replaced by Anatolian farmers, the latter have been replaced by CHG and THEN during and after Bronze Age, CHG themselves have been partially assimilated or replaced by the Yamnaya via Baden, CWC, Beaker, etc. Mutation for C4a3 is 16278T (per the paper Concept for estimating mitochondrial DNA haplogroups using a maximum likelihood approach (EMMA)), while no data of C4a6 terminal mutations is avaliable online. "Mutation for C4a3 is 16278T (per the paper Concept for estimating mitochondrial DNA haplogroups using a maximum likelihood approach (EMMA))..."
I think that might be equivalent to haplogroup C4a2b1 on PhyloTree, which has the terminal mutations A5036G, T16086C, and C16278T! (the last, which happens to be the mutation that you have mentioned, being a reversion to an ancestral state). However, C4a2b1 is now a very rare haplogroup. Among samples of present-day humans, members of haplogroup C4a2b1 have been found among the Wancho, a tribe of tattooed (former?) headhunters who inhabit some hills in Northeast India (cf. Chandrasekar A, Kumar S, Sreenath J, Sarkar BN, Urade BP, et al. (2009), "Updating Phylogeny of Mitochondrial DNA Macrohaplogroup M in India: Dispersal of Modern Human in South Asian Corridor"). C4a2b (as per PhyloTree's definition) with an additional C16278T! mutation also has been found in a couple Sonowal Kachari individuals. These people also live in Northeast India, very close to the Wancho. Found data about C4a6: defining mutation C16218T. It's shared between the two C4a6 steppe individuals, and is not present in other C clades. Data from "Ancient Mitochondrial DNA From Pre-historic Southeastern Europe: The Presence of East Eurasian Haplogroups Provides Evidence of Interactions with South Siberians Across the Central Asian Steppe Belt". Here are some things to consider and the Wang genomes should resolve. -You did a qpADM model with Yamnaya as Sredny_Stog_I6561+Khvalynsk_I0434 yet also say Yamnaya's farmer ancestry was rich in WHG. But, I6561's farmer ancestry had very little WHG. -Assuming, Yamnaya's farmer ancestry is old (pre-4000 BC), is it even possible WHG-rich farmers existed near Sredny Stog at such an early date? Not sure what you mean when you say that I6561's farmer ancestry had very little WHG, because these G25/nMonte models don't support that (obviously, Ukraine_N is rich in WHG), and I've produced very similar output with qpAdm. But keep in mind that with G25/nMonte, the further back you go, the less accurate the models will be. It's a method that works best with proximate references, while qpAdm is better for the more distal stuff. So maybe that's the issue? Unfortunately, Khvalynsk_Eneolithic I0434 isn't in the G25 datasheets, so I have to use Yamnaya here, but you get the point. The Bug-Dniester Culture maybe ? This is what I base my opinion of I6561 on. My conclusion has been he had extra EHG not UkraineHG admix. Czech EBA I7197=93% EF, 7% WHG. If your model is right, he got his UkraineHgs from hunter gatherers but his farmer from almost pure Anatolian farmers. So, not a single farming population high in WHG. If the settlement of the Caucasus mountains was discontinuous, what are the implications for NWC and NEC languages ? Most theories had previously just assumed that theyd been there since the Neolithic or even Mesolithic (and then used to triangulate PIE itself because of the contacts b/w PIE and NWC), but it looking like there were repeated movements from the south to north of the alps. So it seems NWC might have arrived during the LBA (Dolmen culture). Judging by the singleton sample from the Dolmen culture, its population wasn't the result of a recent migration from the south Caucasus. Dolmen_LBA I2051 is generally very similar to the Meshoko, Maykop and Kura-Araxes samples, but overall shifted slightly northwest towards Europe. In the Wang supplement, they outline that the settlements in the north Caucasus peidmont end with the 4.2 ky event, whether steppe or south Caucasian in ancestry. As you've pointed out, that caused some Catacomb groups to migrated south, contributing to the fragmentation of the Kura-Araxes culture. The next period of settlement is during the LBA, and yes these groups were genetically similar to earlier ones, but they're separated by 2000 years. I wouldn't rely much on archaelogic papers about Caucasus when trying to figure out migrations. Antimigration bias in those papers is quite frequent. Caucasus was usually imagined some static place when the reality we see is quite complex. For example that J2-M67 in Maykop and Meshoko expanded in Eneolithic and most probably wiped out most ofl preceding Kotias and Satsurbila y dna. While later the G2U1 replaced most of this M67-s in NW Caucasus. Non of this serious demic events was efficiently predicted by archaelogy. Concerning steppe ancestry in Armenia the issue here is quite simple. If R1b V1636 and M269 are from steppe then they are real. But there is one difference between Armenia and Europe. This steppe ancestry was not present on whole Armenia because Armenia is a mountainous country shielded by Greater Caucasus. So the impact was never huge and irreversible. That is why we see them frequently appearing and then disappearing. Even recently with the arrival of Russians in Armenia we had a lot off mixed marriages and even compact settlements of Russian Molokans. But 500 later it will desapeeare assimilated by locales. While later the G2U1 replaced most of this M67-s in NW Caucasus. But looking at the genome-wide data, doesn't this appear to have been an in situ (locally derived) process? In other words, it seems like some NW Caucasian groups expanded at the expense of others, rather than G-U1 being introduced from the south Caucasus with a new population. The really heavy migration into the NW Caucasus probably took place during the early phase of Meshoko, although its hard to say for certain due to a lack of pre-Meshoko ancient data. In any case, it seems like the migrations from the south continued during the Maykop period, and may have been fairly intense, but they look to have slowed or even basically stopped during the Late Maykop period. Does anyone know if Corded Ware used metal? They occasionally used copper, but certainly not real bronze with tin. Archaeologically they are considered part of the Chalcolithic, the copper-stone age. Here's new details David's G25 PCA reveals about Neolithic farmers.....the other half of the story. BalkansEN_I2533 has the least IranNeo-related ancestry among SE European/Anatolian farmers. Danubian & Balkan farmers on average carry half as much Tepecik-like ancestry as Barcin_N. Iberian farmers are less IranNeo-admixed than I2533 but I can't get exact numbers because of their Iberian-specific drift. Globular Amphora samples are heterogeneous not a uniform group. Several have close affinity to Sweden EN/MN confirming there's lots of Funnel Beaker ancestry in Globular Amphora. Funnel Beaker & Globular Amphora farmers samples all have mixed Iberian/Danubian ancestry. Germany_MN:I0172 is the most Danubian & Globular_Amphora:I2433 is the most Iberian. Sweden EF & most Globular can fit as a mix between the two. In super thorough tests, pretty much all farmer ancestry in Andronovo, Corded Ware, Unetice, and North Bell Beaker is attributed to Globular Amphora & Funnel Beaker. Andronovo's ancestors picked up 30% Globular-like admix residing far in the east in Ukraine. It'll be interesting to see how North Bell Beaker's ancestors acquired 45% farmer ancestry. The Vucedol theory doesn't cut it considering Vucedol had basically pure Danubian farmers with little HG admix. Can you extend this analysis to the rathlin1 sample? We know from the rumors out of trinity and queens that rathlin did not have ancestry from the Neolithic woman form Ballynahatt, so where did his farmer ancestry come from? Based on R1b basal subclades project data and ancient R1b-s I would say that it is very unlikely that V1636 came to Armenia from Central Asia. V1636 today is mostly Eiropean and West Asian. While most cases of R1b found in Xiongnu Hun Turkic and modern Central Asia are either PH155 or M73. "But looking at the genome-wide data, doesn't this appear to have been an in situ (locally derived) process?" I have no definitive opinion on this matter. I am just noting that we don't have any ancient G2 U1 in Caucasus. That can change in the future offcourse. How do you think they acquired it? "Can you extend this analysis to the rathlin1 sample? We know from the rumors out of trinity and queens that rathlin did not have ancestry from the Neolithic woman form Ballynahatt, so where did his farmer ancestry come from? " Using, pretty much all Neolithic genomes this is what Rathlin gets. So, yeah >0% of his ancestry was from the British Isles or even western Europe (west of Poland). The Beaker folk who entered the British Isles were a homologous hybrid population mixed between central-east farmers & Yamnaya. "How do you think they acquired it?" It's a mystery at this point. An archaeologist who understands genetic data might know. My guess would be somewhere in or near modern day Poland or Germany. They might have acquired farmer ancestry before Corded Ware emerged. Right now they seem like ninjas because they appear in western Europe at 2600BC apparently out of nowhere and already with a lot of farmer admix. There's seems to be a key difference between North BBC & Corded Ware. Corded Ware is like the Spanish American empire, North BBC is like the British American colonies. Corded Ware in a lot of ways represents Steppe men who ventured west & found farmer wives. North Beaker looks like a nation who brought everyone along in the migration & stayed isolated from natives (hence 90% replacement in Britain). I doubt North Beaker's predecessors were quite & low in number in eastern Europe. I think they were somewhere in large numbers making a big presence. Basically doing what they would later do in western Europe. And how much west-of-Poland ancestry do modern Northwest Europeans have? "By definition, forests thrive within this climate. Biomes within this climate regime include temperate woodlands, temperate grasslands, temperate deciduous, temperate evergreen forests, and coniferous forests. Within wetter areas, spruce, pine, fir, and oak can be found. Fall foliage is noted during the autumn." " In addition, the location in question must not be semi-arid or arid. " "The characteristic feature of the microthermal climate is cold winters"
"This definition places all of the world's microthermal climates in the Northern Hemisphere, as the absence of broad land masses at upper-middle latitudes in the Southern Hemisphere precludes the existence of such temperature conditions there." "And how much west-of-Poland ancestry do modern Northwest Europeans have?" Not a lot for the British Isles because Beaker folk laid the foundation for all future British & Irish pops. Anglo Saxons are number two & they probably had no western farmer ancestry. Germany is a mystery right now. There isn't good data from Germany. Scandinavian's farmer ancestry should be all Funnel Beaker, including ones who lived in Scandinavia. Dutch, look a lot like Anglo Saxons, so not any western farmer stuff. The main cluster in France has significant farmer ancestry on top of what the first Kurgan Beakers in France had. This includes mostly western farmer but also has LBK contribution. @Them mee: I know this is a question for Sam, but wanted to chime in as it's an interesting topic to me. All depends on tons on assumptions, and I'll really just go through the considerations. I'll just cover Britain. For Britain, the way I think of it, going by Reich lab's data Britain by Iron Age is about 10-15% increase in farmer ancestry from earlier Beaker (e.g. supplement page 181 from Olalde gives Netherlands Beaker ancestry of - CA_EBA combined (including Beaker) 0.953, MBA Combined 0.897, LBA Combined 0.857, with the rest being extra MN European - https://media.nature.com/original/nature-assets/nature/journal/v555/n7695/extref/nature25738-s2.pdf). If you assume that all 15% comes from France or native resurgence, then that 15% could all be Western even in North Beaker that originally moved into Britain in earliest CA_EBA had no Western farmer ancestry. Though this is complex in terms of what we define as "Western" as France or Britain wouldn't have only Western farmer ancestry if we're limiting Western to Iberian origin as the French and British Neolithic were mixed to some degree between different Neolithic streams (plus they may have later WHG admixture from NW Europe on top of that). Then, Iron Age Brits seem like they could be descriptive for Irish and perhaps Welsh and Scots, but for the case of English you have to balance new ancestry coming in from Denmark and the Netherlands and Scandinavia (Anglo-Saxons and Viking Age) along with further ancestry from France/SW Europe ongoing through history. That latter French/SW European bit probably has to be reasonably significant as the Iron Age English samples largely look to have less steppe ancestry than Anglo-Saxons while present day English have less than Iron Age English. Of course further problems with all that are a) you could have further ancestry coming in via Italy or Central Europe from other parts of the continent where there is less Western farmer, and not just from France, b) transfers of ancestry from France / other regions to get Neolithic down to 15% less by Iron Age might have to be quite high (possibly more significant than the Anglo-Saxon invasion) if they had high steppe ancestry themselves. Plus balancing that is how much the Globular Amphora / Funnelbeaker themselves were composed of Western (Iberian) vs Eastern (Iberian) streams. If you have a naive model where GAC/Funnelbeaker is about 1/3 Western farmer, 2/3 Eastern farmer, then North Beaker would be probably 65:10:25 Steppe:Western F:Eastern F, then with enough more Western from France/resurgence to get to 50% steppe 50% Neolithic, that goes to: 50:25:20 Steppe:Western F:Eastern F by Iron Age. Assuming instead GAC are totally Danubian, then that would go to something like 50:15:35 Steppe:Western F:Eastern F by Iron Age. Note, those fitting models from Olalde's paper finding LBA Combined at 0.857 Netherlands actually go LBA Combined 0.857 Steppe: 0.143 British Neolithic, so we can probably be reasonably certain they are from a western British or French source. But with such a significant Northern Bell Beaker contribution to the Scandinavians and other Germanics, wouldn't it be Funnelbeaker plus whatever else? I appreciate your covering a number of these topics in any event. However, BB & CWC did not derive all their MNE admixture from GAC, but basically any pre-steppe group in central Europe they came accross as they moved through. Therefore I'm not sure that is grounds for dismissing the Vucedol theory, especially given that the weight of evidence supports that BB's R1b/steppe came via Hungary and the Vucedol interaction zone. When the data from Wang comes out, it'll fine tune our results. (NB we might see more Majkop-type admixture in western post-Stog groups). About GAC, of course it might have an element of heterogeneity of GAC (although it depends on what we mean by heterogeneous). However, it would take a more nuanced analysis than modelling GAC on itself, extremely similar Sweden & German MN, and El Miron. But broadly, GAC is an expansive and relatively ''tight'''group, that much is evident by the domiannce of a certain type of i2a2a1. A more fruitful investigation would look at the relative contributions of preceding Brzec-Kujawski groups, Tizapolgar and local HGs to its formation (as one example). So we need to be congnizant of the collateral details around the population being analysed. Ukraine_Eneolithic:I6561 has zero ancestry from south of the Caucasus. The problem with your model is that it lacks the Eneolithic steppe samples with significant CHG.
Obviously, Ukraine_Eneolithic:I6561 got this ancestry from the Don-Caspian steppe, not from Armenia. NB we might see more Majkop-type admixture in western post-Stog groups. I actually laughed at this comment. Please don't post Youtube clips or photos when discussing physical appearance. To stay on topic all comments about physical appearance at this blog have to be accompanied by genetic data, because this is not a physical anthropology blog. Your statement seems to be intentially misleading, because the model depicts the large majority of his ancestry to be frm the Don-Caspian steppe. But there is still something extra southern there. I;m not sure how you deny this especially now that one of the *Steppe Majkop* individuals probably has the simiar mix and is even R1a. Stepep Majkop spilled all the way toward the Don & perhaps beyond. This model makes perfect sense. It doesn't require any special pleading about migrations from Armenia to the North Pontic steppe, or Sredny Stog getting its R1a from Maykop. It sounds like you'll be going on about that Steppe Maykop R1a for a while, do note however that Sredny Stog I6561 is much older than Steppe Maykop SA6013. Also note that Steppe Maykop SA6013 doesn't belong to R1a-M417 and has ancestry from the Caucasus that is lacking in Corded Ware and modern Europeans derived from Corded Ware. You really should look at the data from Wang et al. again to see what I mean when I say the Don-Caspian steppe. That Maykop admixture seems to be actually an artifact created by the coexistence of EEF and Eneolithic Steppe admixtures in Sredny Stog. Khvalynsk had even heavier CHG admixture, and has both R1a and R1b (plus Q1a and I2a). Do you think that Khvalynsk was also Maykop-admixed? Yep, there's no Armenian or Maykop ancestry in Sredny Stog. It is an artifact. The problem is that we don't have those Eneolithic steppe samples from Wang et al. yet, or better still, Eneolithic steppe samples from the southern part of the Don-Caspian steppe. Khvalynsk_I0434 does the trick in qpAdm, but he's not in the Global25 datasheets. Majkop and steppe Majkop are not in Armenia but are right there next to the Don steppe, so obviously ''Armenia'' here is standing for something, and Im aware of the overlappin ancestries, etc, etc; and I pointed out thell need finetuning when the Wang data is released. We can even use Yamnaya-Kalmykia, which has the required more-heavy CHG. I'm not saying it was prolific, but it will show up in some individuals. I'll ask again. Is there Maykop admixture in Khvalynsk? Also, it's likely only some cultural influence, not biological one. And do you see Maykop influence in the mid to lower Volga? 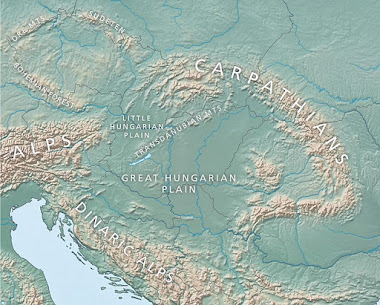 I wonder if a nomadic group of the Suvorovo related expansion survived alongside Farmers in the Transylvanian Plateau area maybe as far as Hungary until the expansion of Yamnaya and Corded Ware pushed them further West or even Northwest into Poland where Corded Ware pushed them further Westward ? Majkop occurs after Khvalynsk period. So there would not be much genetic nor cultural influences there. Something interesting maybe connected to what I proposed. This comment by Chad is completely ignorant to be honest. Although it's not rare to see this position touted by online amateur geneticists on various fora. Linguistics is a valid scientific field on par with archeology and genetics. As a matter of fact, it should be obvious by now that just like archeology or linguistics by themselves can't solve the riddle of the PIE homeland, archeogenetics by itself isn't going to either. Only interdisciplenary work can solve this. I know it's hard for some (particularly germans, iranians and indians apparently) but since before aDNA, the pontic steppe seemed the most likely urheimat for PIE, and after a lot of a DNA - it still does. @Bastian Barx, lord knows I'm not the man's biggest fan, but I think the comment by Chad is to the effect of "Forget linguistic considerations, and any bearing on what this may have on linguistic problems and desired outcome, let's just talk about what the genetics show in terms of purely genetic population movements" (since multiple genetic scenarios can be compatible with a range of language scenarios). Rather than "Linguistics is crap and they don't who what they're talking about when they talk about language".